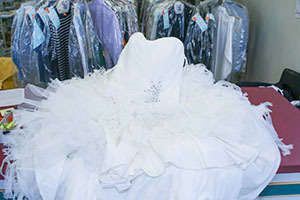 KC CLeaners offers dry cleaning, laundry, wedding gown preservations, and alterations. We also do restoration for fire and water damaged clothes. We use a very mild solvent during our dry cleaning process that is gentle on fabrics and does not disturb colors as water does. 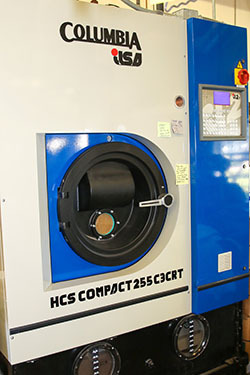 Our highly skilled dry clean pressers have over 25 years of experience. 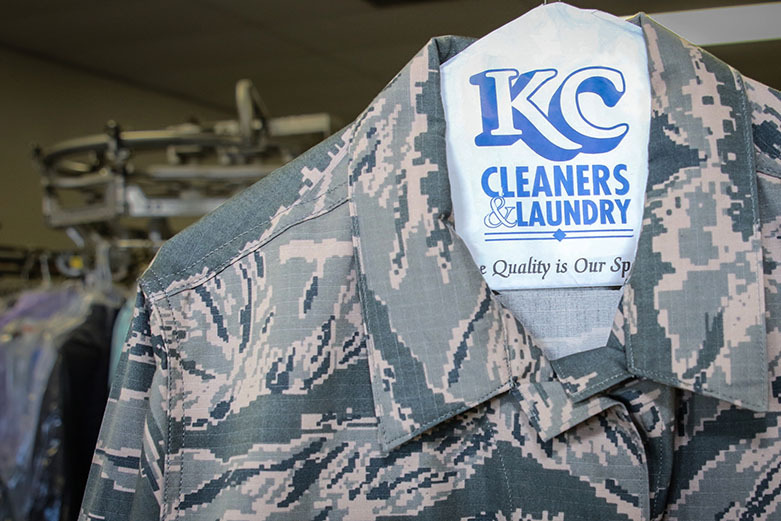 KC Cleaners would like to work with you when your garments are damaged by fire, water, and/or mold. 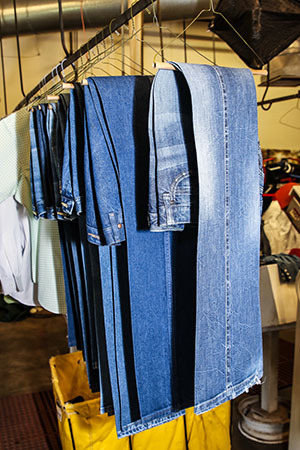 We carry the best available cleaning agents to restore most or all of your damaged clothes. 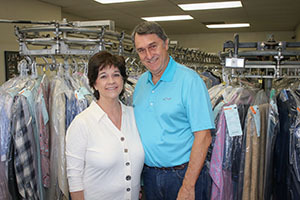 We gladly offer free estimates, pick up and return, and a partial wardrobe return within 24-48 hours to tide you over until all other garments are processed. We will gladly work with you and your insurance company or restoration contractor to get your life back to normal as soon as possible. 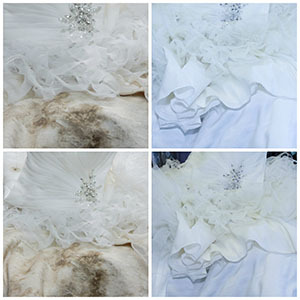 We use the best soaps, degreasers, and color safe oxygen bleach to preserve the integrety of your garments. 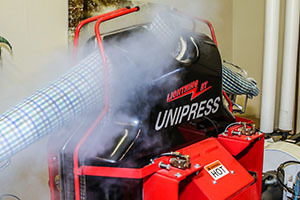 Our expert shirt pressers deliver crisp, professional looking shirts. Heavy starch is available upon request. We gladly clean any bedspreads, comforters, drapery, and linens that need a freshened up look. We can also help with small rugs and certain specialty items. 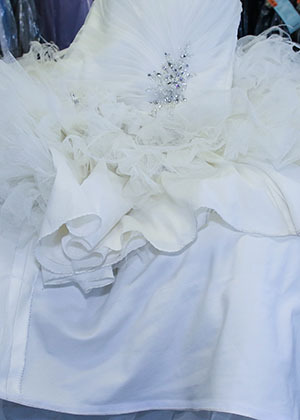 We also offer wedding gown preservation. 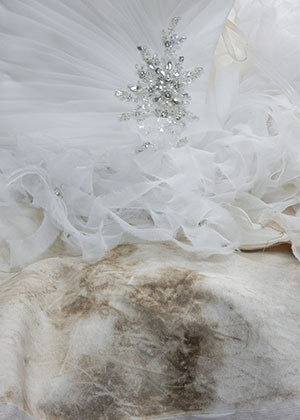 After checking for stains and any imperfections, we carefully dry clean and store the dress in a beautiful acid free box upon request. 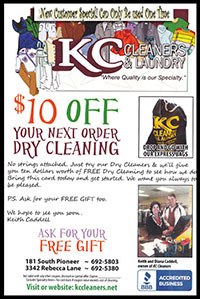 Additionally, KC Cleaners has offered expert alterations and tailoring since 1990. With high demand, we ask that additional time is allowed. 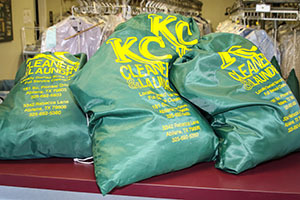 KC Cleaners offers residential pick up delivery on Tuesdays and Thursdays for your convenience. 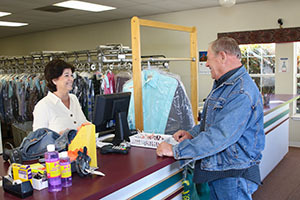 We offer $10.00 in free Dry Cleaning for your first visit just to give us a try. 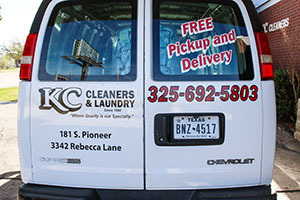 We offer this service to most areas around Abilene. Call us and let us get you started. 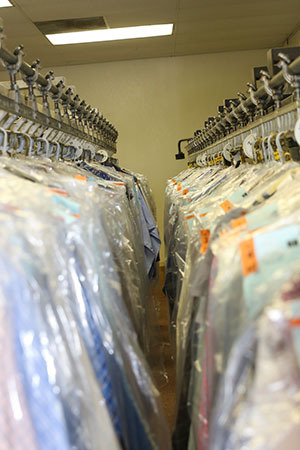 If your business has three or more needing dry cleaning, please call to get set up. We know that with busy schedules, this is a fantastic option to have at your office. Save yourself time and money and let us spoil you with this free service. 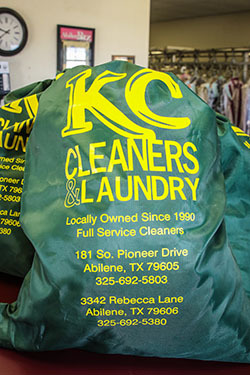 KC Cleaners is a member of the Dry Cleaners & Laundry Institute (DLI) and the Southwest Dry Cleaners Association. 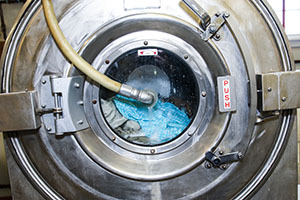 Two of the most important pieces of equipment in a dry cleaners are the dry cleaning machines and the boiler. 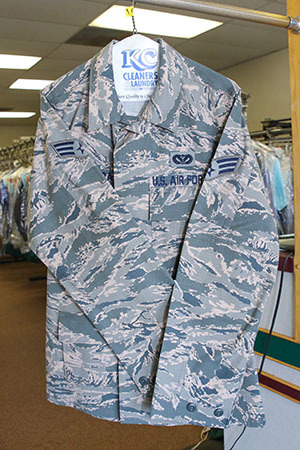 We have one of a few Columbia machines in the area which uses a mild DF 2000 type dry cleaning solvent which is less likely to have colors fade and very gentle on your fabrics. Our Fulton 50 HP boiler furnishes us with ample steam to all our presses and machines as we grow. We have some of the most popular Unipress presses on the market. Our 2 shirt machines are the Thunder and Lightning units, collar and cuff presses and toppers have been a great addition. 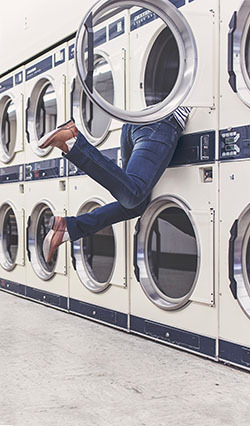 We use 3-50# or 60# Unimac washers and 4 Maytag smaller units for all your laundry needs. We also carry other mfg. presses but we all know it depends on having qualified pressers to put out a nice looking garment. This is why most of our ladies have over 20+ years of experience. 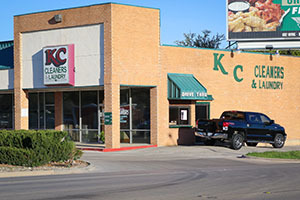 and a little inside look at our operation here at KC Cleaners. 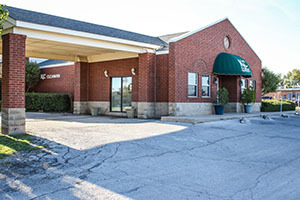 Please do not hesitate to call us at one of our convenient locations.